I had a dream the other night, it's one I have quite a lot . The one where I am on my own at home, doing Daisy's IVs late at night and I go to the drawer to get out some more syringes and there are none there. I feel that familiar panic, "what do I do now? , it's the middle of the night, the children are asleep, I'm on my own, how will I finish these IVs? They are time-dependent, if I don't get them done now then the schedule will be thrown, putting Daisy at risk....." I wake up, my heart pounding. Not too long ago this wasn't a dream. This was my reality. 24/7 worry. Constantly topping up the medical supplies, trying to forecast how many syringes, needles, saline flushes we would need, whether the doctors would change the dose and this would throw my calculations and we would be short. There was nothing more satisfying to me than a tray of IVs that I had draw up myself, quite frequently there were 2 trays worth to be drawn up and administered. It kept her out of hospital. I had an informal arrangement with our hospital ward. If I ran out of supplies I could scrounge enough from their ward stock to keep me going overnight until the community nurses were back on duty the next day. That is if I was able to get to the hospital in the middle of the night. It's always the middle of the night, it's always a Friday evening. Parents of medically complex children know that if something is going to go wrong then it will not be during convenient daytime hours. I could guarantee that if Daisy was going to have a crisis it would be on a Friday evening. So why does my local Clinical Commissioning Group only fund Community based support for complex children like Daisy during daytime hours and only five days per week? Our Community Nursing Team were lovely, over the years they became friends but they were stretched so thinly that there were times when there might only be one nurse available to cover two boroughs. That's everyone from a child needing their chemo pump taken off, a child on home IV antibiotics, a ventilated child needing their weekly trache change and of course, Daisy. The most complicated child who loved to throw a spanner or two in the works. I did everything in my power to keep Daisy at home, to keep her stable where I knew she was safe. If she became ill overnight or on the weekend I would then have to decide whether I could keep her stable enough at home until the next day or to call an ambulance out. After 5pm the answerphone message on our community nurse number told me to take my child to A&E. It seemed so crazy to me that if any of my other children were ill overnight I could call an out of hours GP service for advice but in Daisy's case I had to make a judgement call as to whether I should wait until the morning or take her into a packed A&E overnight, risking infection, causing her stress and discomfort. I don't recall ever taking Daisy to see our GP. They were amazing, but they couldn't prescribe IV antibiotics and Daisy as always was just too complicated for a review and a prescription - all roads led to A&E, from the acute to the chronic, the serious to the "could you just check this out please". The staff at A&E, they too were amazing, but really, is an already overburdened Accident and Emergency department a suitable replacement for a community based service? Daisy was one of the lucky ones in our postcode lottery. 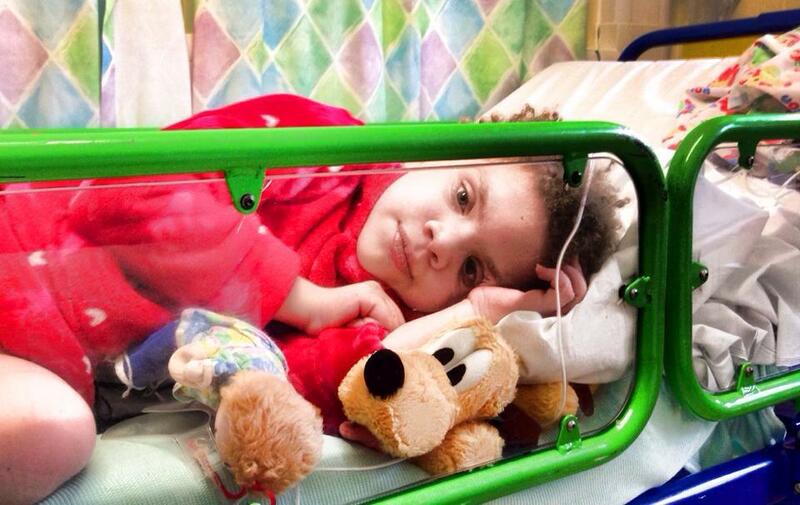 She was cared for by the palliative team at Great Ormond Street. There are not that many Paediatric Palliative Care services in the UK but we were in the fortunate few. There was always a Palliative Doctor on-call from the team, at least there was someone there on the end of the phone to give advice on medications for pain management and symptoms. They couldn't help if a pump broke or a tube fell out or we ran out of syringes - then it was back to A&E. Yes, Daisy was palliative but we still did not have access to community based services 24/7. This contrast was acutely evident when Andy became ill. In the last few days of his life, he was at home on various pumps and IVs. I had the telephone number for the District Nursing team, I called them day or night and they came out. They brought equipment, liaised with pharmacies. I didn't need to move from Andy's side. We knew that Andy only had a short time left. It was one of the few certainties we did have. We also lived with the certainty that Daisy would die before adulthood. 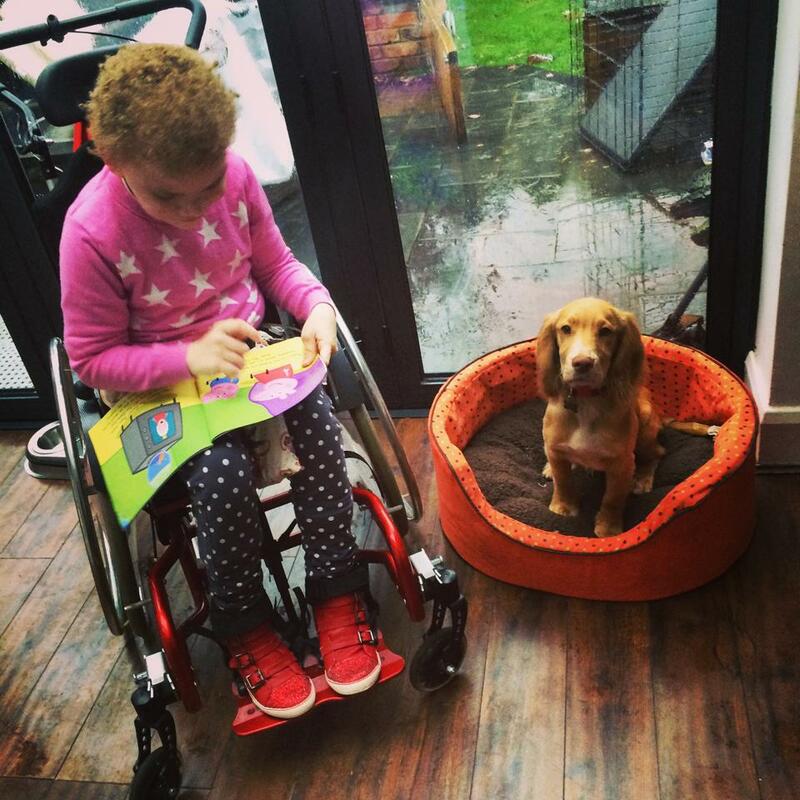 The difference, which is so often the case with children who have life limiting conditions, was there was no clear pathway for Daisy, her decline was slow and long , there were crises and she would bounce back from them. I did not know from week to week what would happen. 2. Caring for a child with a life limiting or life-threatening condition is a 24 hour, seven days a week job - children are not ill on a convenient 9 till 5 basis. Despite the government’s choice commitment, in one third (33%) of CCGs do not plan and fund community children’s nurses to provide palliative care for seriously ill children out of hours and at weekends. 3. When this care isn’t in place, families are forced to go to A&E at night and at weekends, at great expense to the NHS. New maps produced by the charity show that whether seriously ill children can access this support depends entirely on where in England they live rather than what they need. What would have helped me? I wish I could have had access to a specialist nursing team 24/7. Someone who could have come out and reviewed Daisy when she was unwell, liaising with the hospital to see if we could keep her at home or bring her in. Someone who could sort out equipment problems , who could get bloods processed quickly without me having to explain to a doctor who had no knowledge of me why they needed to write up a blood form. I wish I could have spoken to a nurse practitioner those times in the middle of the night or the weekends when I was phoning A&E to see how busy they were and whether the staff on duty were ones familiar with Daisy's complexities. 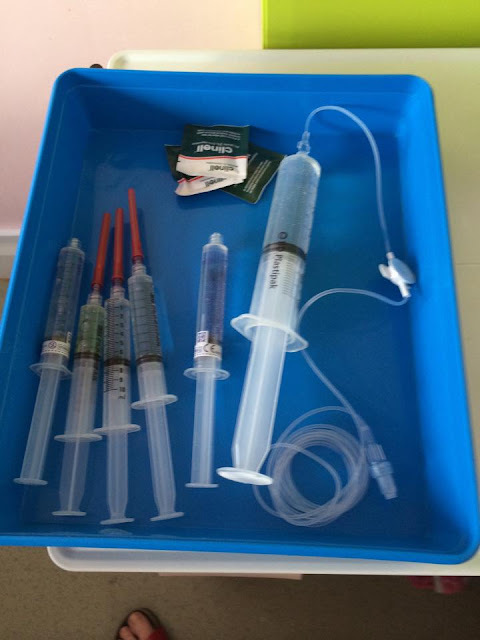 I wish someone else could have sorted out those syringes for me when I ran out overnight. I wish I could have had the sort of community based care that I was able to access for my other children, the sort of community based care that was there for Andy at his end of life. I'll continue to share Daisy's story because I want things to change. Daisy was not meant to live a year and yet she lived twelve years. Medical science kept her alive and allowed her to be a little girl, sadly our investment in community paediatric palliative services has not caught up with medical science. Time and time again families like ours are brought to their knees as they struggle to care for their children and keep them stable and out of hospital. We learn the complicated medical procedures , we go without sleep, we do anything within our power to give our children a good quality of life no matter how long or short that life is. But there needs to be the support. We need to fund robust and relevant paediatric palliative care services in the community that support the needs of the family, not the financial priorities of the health commissioners.